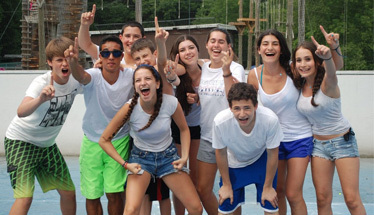 At TAC, the safety and physical well being of our campers and staff is our number one priority. Our Health Center is an air conditioned building equipped with a private exam room, medication room, triage room and beds for campers to rest. If campers need to spend the night in the infirmary, we have spacious male and female dorms, accessible showers and toilets, and a private dining area. The Health Center also provides the campers with bedding so they don’t have to worry about bringing over their own if they are there for an overnight stay. Additionally, counselors are given a list of items to bring to campers if they need to spend the night. If a camper is staying in the Health Center overnight or is receiving care for a unique situation, the health staff always consults with his or her parents. We also understand that young campers away from home with a health problem often need an extra dose of “tender loving care”. 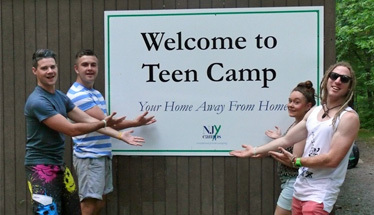 Our nurses understand that working in a summer camp requires them to be sensitive to the needs of children and teenagers. It is essential that our nurses have not only the credentials to be a skilled RN, but have the right temperament to work with children as well. At breakfast, we offer a full cereal bar, with 6-8 cereal choices, fresh fruit, bread, peanut-butter & Jelly and yogurt. At lunch and dinner we offer a full salad bar with 10-12 items, plain pasta (whole wheat & white), bread, peanut-butter & Jelly and fresh fruit. These items complement our hot entrees which can be seen by clicking on the Sample Camp Menu. 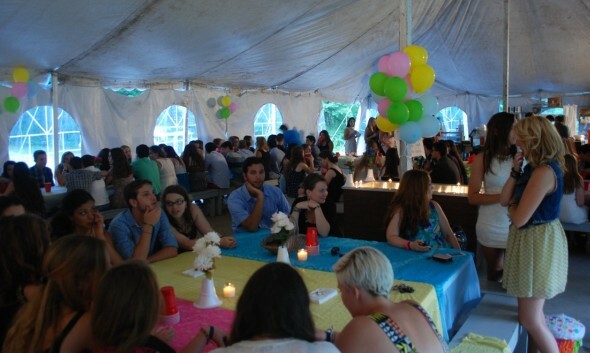 The NJY Camps has a dedicated GIG Certified Gluten Free kitchen serving meals to match those of our traditional menu. These meals are packaged separately for campers to receive at the start of the meal. 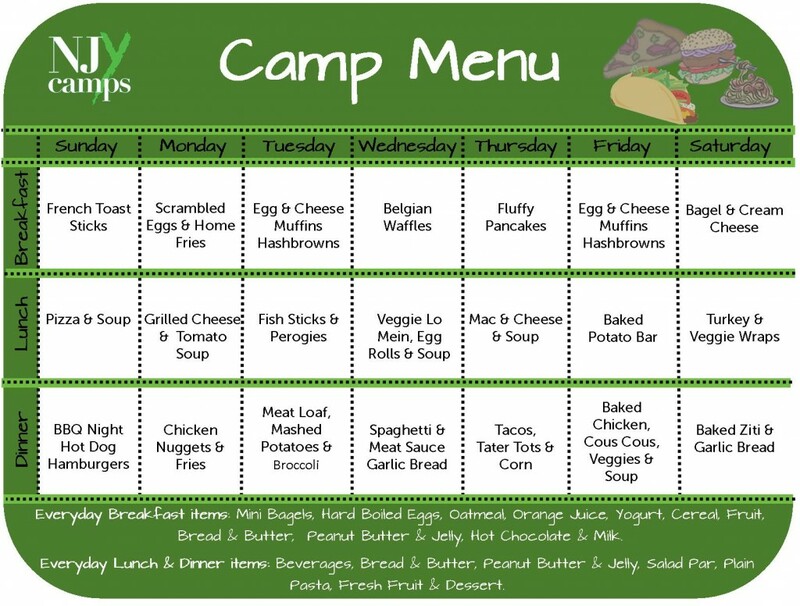 To complement our 3 meals, we offer snacks regularly throughout the day as well as provide campers with easy access to the dining hall in between meals, where they can get hot drinks or sometimes, left over meal items. Water is always regularly available throughout camp and in all activity area. We also encourage campers to bring their own water bottles to stay hydrated throughout the day. If your child has food allergies/intolerances, please contact us to learn about the different options we can provide.